In patients with kidney failure, influenza-like illness (ILI) likely contributes to more than 1,000 deaths per year. The finding, which comes from a study appearing in an upcoming issue of the Journal of the American Society of Nephrology (JASN), points to the importance of protection against, surveillance of, and, where possible, treatment of such infections in patients with kidney dysfunction. Mortality rates among patients with kidney failure, or end-stage renal disease (ESRD), are very high, with seasonal fluctuations. 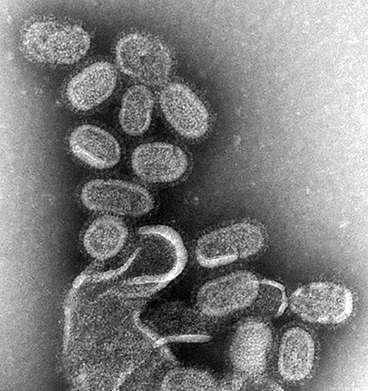 ILI—a syndrome comprising potentially serious respiratory tract infections caused by influenza and other viruses—disproportionately affects vulnerable populations such as patients with ESRD, and it is also seasonal, peaking during the colder months of the year. The extent to which ILI contributes to mortality in patients with ESRD is unclear. To investigate, David Gilbertson, Ph.D. (Hennepin Healthcare Research Institute and the University of Minnesota) and his colleagues analyzed data from the Centers for Disease Control and Prevention Outpatient ILI Surveillance Network and the Centers for Medicare & Medicaid Services ESRD database from 2000-2013. The team calculated mortality trends in each quarter of the year, with the ILI season represented by the fourth quarter (Q4) of each year and the first quarter (Q1) of the following year. A 1% absolute increase in Q4 ILI was associated with a 1.5% increase in Q4 mortality relative to the average in Q3 (the summer), and a 1% absolute increase in Q1 ILI was associated with a 2.0% increase in Q1 mortality relative to Q3. The average number of annual deaths potentially attributable to ILI was substantial: about 1,100 deaths per year. "Generally speaking, during influenza/ILI seasons when influenza and ILI peaked early, more deaths occurred early, and when the illness peak was later, the peak in deaths was also later. Similarly, years when influenza and ILI were particularly bad were generally years when the number of deaths was also higher than expected," said Dr. Gilbertson. "While ILI may not be the direct cause of death in ESRD patients, it may contribute to other causes of death; for example, patients with ILI may experience a state of acute inflammation, making them vulnerable to other infections or cardiovascular events." Dr. Gilbertson provided suggestions for protecting ESRD patients against ILI. "Strategies could include increased disinfection efforts in dialysis units in the winter months, and making sure all patients with kidney failure get the influenza vaccination each year," he said.